You can take a girl out of Iran but … you can’t take Iran out of the girl. After 35 years I’m returning for a visit to Iran. The country where I was born; where my grandparents are laid to rest; where I’ve left my heart since the very moment I was away. I’m leaving NY in less than two weeks, arriving in Tehran just before Norooz, the Iranian new year. I’m excited to be back at such a special and festive time. 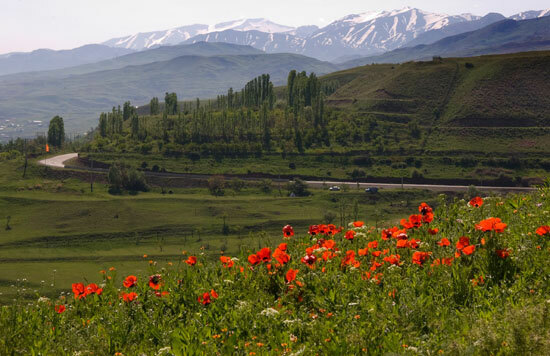 I can’t wait to set foot on the soil of Tehran; I can’t wait to peek at the snowy peaks of Damavand mountain; I can’t wait to take a bite out of noneh sangak; and I can’t wait to see family, and old and new friends. There are so many things I want to do and see and smell and taste and experience and feel. I want to travel a bit to a few cities — the fabled ones and also some that are a bit off the beaten path. I want to go and have a good cry at the graves of my grandparents. I want to see the children of those who where children when I left. I want to jump over a chanshanbeh suri bonfire and tell the fire: your red is mine, my yellow is yours. I want to see everyone’s sofreh ye haft seen. I want to go for a sizdah bedar Persian picnic by a stream. 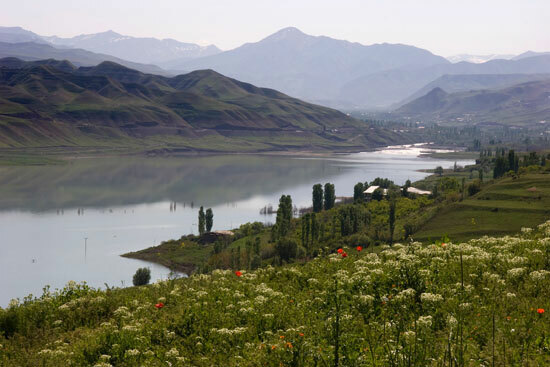 I want to see a shopkeeper’s rows of Norooz goldfish swimming in bowls, I want to feast my eyes on the sight of all the spring flowers and shirini, I want to live dangerously and eat a roasted corn dipped in salty water off a side cart; I want to go skiing in Dizin. 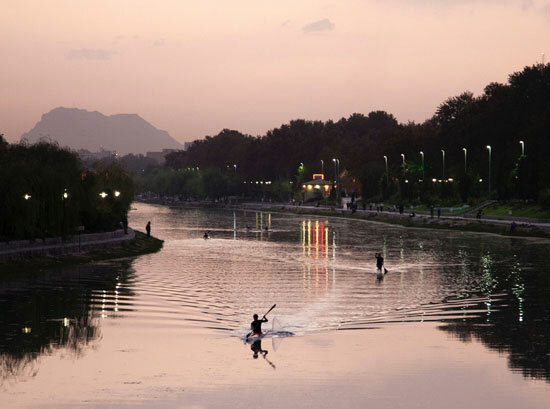 I want to talk to people, go to the parks, take the metro, go mountain climbing, go to the coffee shops, go to all the museums, check out the art galleries in Tehran, and go to the holy shrines. I want to eat chaghaleh badoom and gojeh sabz, I want to taste the sour-cherry lavashak, I want to sit on a good Persian rug and take dainty sips from a hot estakan ‘eh chai with yek habeh ghand. I want to go to a public bath and get a good dal ‘luck rubdown. I do! And if circumstances permit, I want to climb a mulberry tree and eat mulberries, white and red, as many as I can grab off the branches, to my heart’s content. I want to say hello hello hello because I never ever wanted to say goodbye. Of course, I’m also already homesick for this home right here, too. The quandary of hyphenated people. I’ll miss my family, friends, neighborhood, neighbors, and my beloved Brooklyn. And I already miss all of you! I’m thankful to be able to share this with you. It will be an emotional journey, a sentimental journey, and God willing, an epic, adventurous and wonderful journey. I’ve already drawn buckets of feelings from the deepest wells in my being and I’ve shed cleansing tears of a mixture of joy and nostalgia and all sorts of smorgasbord of emotions when I made the decision to embark on this trip; when I bought my ticket; and whenever I manage to sit quietly and contemplate the by now inevitable fact that in less than 14 days I’ll be stepping on the soil of a place that sometimes feels like it was only the landscape of a dream. I’d be lying if I said I don’t have the butterflies as well. Because I do. I do. But ultimately, this is a journey that I’m driven with every fiber of my being to make. It’s love. You see. It’s love. And I’ve been away for far too long. All the photos in this post were taken by and are courtesy of John Thompson. Azita, this post choked me up. I’m so glad you’ll be able to visit a place that has been in your heart all these years that you’ve been away. 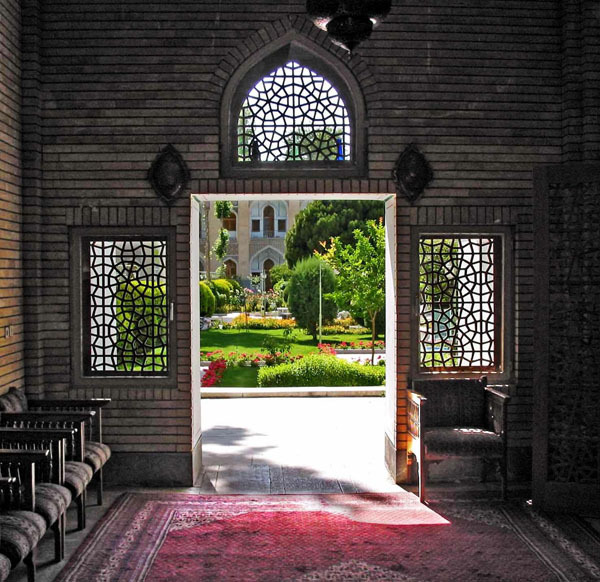 Iran is such a beautiful, complex country, and reading your blog allows that complexity to shine through. I wish you a safe and fulfilling journey. Complex is a good and apt adjective. Thank you dear Gwynnem, means a lot. I have tears of joy for you. Well done and God bless. I know you will have an amazing trip and that you will post fantastic photo’s and a narrative that will make us all feel as though we are right there with you, we are, really, with you in spirit. Safe travels my friend this will be the trip of a lifetime. I loved your post, the emotion is palpable. Thank you dear Suzanne. Your care and support means the world. I hope your trip is everything you expect and more. Be safe and enjoy! Perhaps when you get home, you can advise us on on do’s and don’t’s, best travel agency to use, best airline to use, safety concerns, best current restaurants, etc. Have a wonderful time! Thank you for reading and visiting and for your best wishes. That is a good idea and I’ll definitely try to take notes & write a good, concise travel guide post. It’s interesting to me that you mention “fearlessly” … as that is my wish as well. Thank you! I hope you have a lovely trip. I hope that someday I can visit your beautiful Iran. Thank you! I hope you can visit Iran someday as well. I cannot wait to read all about your trip! Your feelings must be complex and strong. 35 years – that is a long time – and what history there for your family. Why did your family leave Iran – and what precipitated the long absence from your homeland? I look forward to hearing, when you choose to share, of course. I love that first image…and the kayak looks wonderful too. I already was excited for you before this post, but now I am e static for you. Thanks you for sharing the depth of your emotions going into this trip, andnfor letting us be a part. Enjoy the next two weeks, and then take a trip for the ages!!! So much emotion in your post, I can just feel the excitement and anticipation! Have a wonderful trip! Have a wonderful trip Azita… I am so happy for you and looking forward to your posts about your visit to Iran! don’t forget to have some ‘Aab Zereshk’! What beautiful desires and wants. I love this post. I can’t wait to read all about it and to guess at what you keep only to yourself. I’m so glad things lined up in a way that you will get to return. I want to know more about the jumping over the fire and what you and the fire exchange. This is going to be an amazing journey. Much love and luck. Amanda, one of the reasons I chose this particular date to travel was to make it in time to the fire jumping ceremony. I hope to be able to share some of the experience for sure. Thank you for your sweet comment! a truly touching post, so much love, so much yearning, it is heart breaking – you describe a love of Iran that I have seen before in my closest friends, a deep connection to a land and it’s foods and customs and people, it makes me sad for you and happy for you, as it did when I listened to my friends talk about what they had lost, although their silences said much much more than their words ever did. What was lost was in the silence. I wish you a heart-filling trip. ps these emotions are ones shared by all of us who have left roots behind – and it would be a better world if others who did not understand what this means could feel just a little bit of what you have described and thereby understand that leaving ones home is very often a necessity and that one leaves a part of oneself behind, and that likewise our home always lives on within us too. Not sure if any of this makes sense to you, sometimes it’s hard to put this type of thing in writing. It does make sense. It’s complicated. You understand. I’d write more … but maybe it’d be better in another post. ok, In general I’m quite shy, but not so much afraid of saying that your post made me cry. I’ve been touched by your words, by the feeling that I perceive from all the details of your post. Your words made me also feel so lucky, since I have the chance to go back to my country 1-2 per year. Treasure your feelings, is the best thing we can do when we are away for far too long from something we love. It is so very kind of you to share your feelings despite being shy and I am grateful for the lovely sentiment. You are lucky to get to go back every year! I’m actually writing down the last sentence of your comment to keep and remember when I travel. Thank you! Mersi Banafsheh joon! 🙂 I wish a certain someone was traveling at the same time with me but I’ll still try to have fun! The photos are something else, aren’t they? Ahu jan, you were born here? I do hope you’ll be able to go and visit one day. Mersi for your sweet comment. Azita joon!!! I wish my farsi would be strong enough to express what I wanted to say, every body else on this post had said it already. 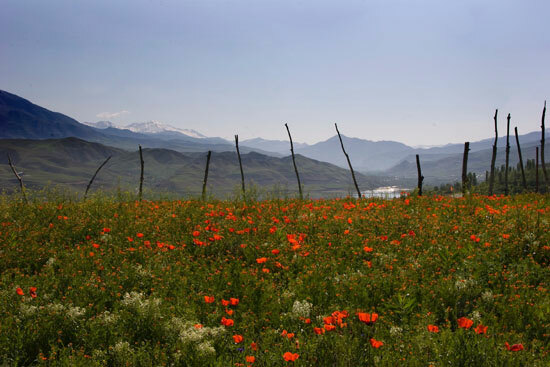 I can smell all the flavors of your journey and picture most of it, like Damavand mountain, and the hafseen for Nooruz and so on. I love your excitement and share it with you in my thoughts. Dusted daram, love your country, have the most wonderful trip ever. 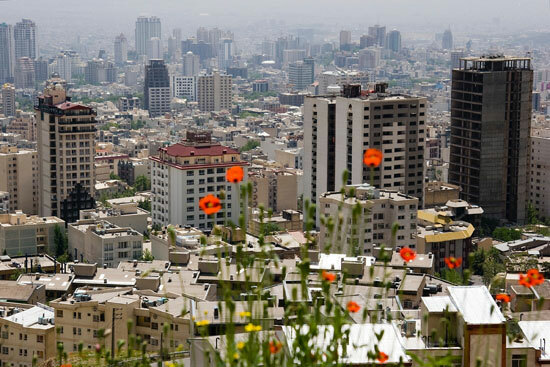 Are you staying mostly in Teheran? Dessert? Sounds good! Oh I wish to be in your suitcase! Just making Eshkeneh, perfect for rainy days here, finally!!! From the Persian cookbook of Najimieh Batmanglij and my persian mother in laws teachings. Wait! You were making eshkeneh, Cornelia? Will you please do a guest post for me one day? Or even soon, before I leave? I’ll schedule it to post while I’m away. Would LOVE it!! Pretty please? Beautiful post Azita. I hope you have a wonderful time on your visit home! Oh my goodness what a post. I wish that your every wish will be granted and that you have the time that you have dreamed of. I bid you a safe and happy journey. Look forward to your return. Ha ha, yes, for sure there will be some photo posts! Thank you! Safe travels and a wonderful homecoming! You will have a great trip..
Photographs of mulberry stained fingers are expected, thank you. Outpouring of your emotions/sentiments, and in return, outpouring of sincere and touching bon voyages. Well expressed Azita jan. Hundreds of thousands of Iranians want to be able to be in your position, and will have the same anticipation. Jaye maro ham dar vatan khalikon. Safe trip and lots of joy and good foods. Azita jan you wrapped up every emotion and wish of every Iranian living away from home so beautifully. I wish I could go through your to-do list and experience it too. Your timing for your comeback couldn’t be better. Tehran in Spring is magic! 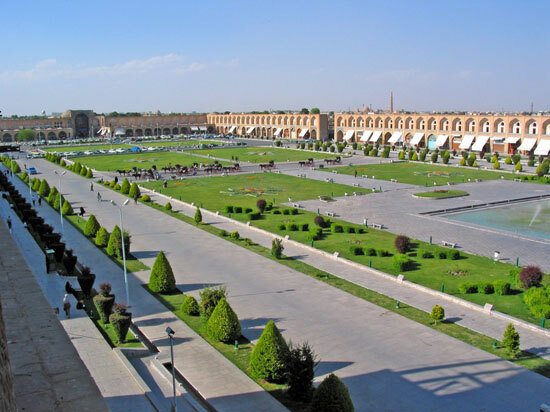 I might be making a quick emergency trip next week for a few days, have to be back by 18th so will miss Norooz. My heart is already in pieces dreading the goodbyes. No place like home. From now on I’m sure you’ll planning regularly trips back. What a beautiful post – loved the story and the pictures. Wishing you a wonderful trip! I know, I’m missing everything and everyone too already Angie. You guessed at this right away … remember when you asked if I was giving a hint? ha ha! it’s tempting to think that I can go and just stay but the reality is … here is home too. A quandary! 😉 We’ll see! The landscape looks amazing. And Spring is such a good time to see it in with its new growth. Really wish you well with your journey! Afarin! In khabar-e khubi ast! There you go, making me want to break out my rusty Farsi… and go back to Iran too! I’m not sure when I’ll get to go visit again (and practice Farsi before I forget all that I’d learned), but I’m really looking forward to it. I understand how this journey brings up all those feelings for you – it must be really special to go back after all these years away. I hope you’ll get to enjoy all of the delights you had left behind and are expecting to finally experience again. You’ll probably find that many things are still the same (the breath-taking beauty, wonderful kindness, friendliness, and much more) and that, at the same time, so much has changed (for one thing, a much smaller proportion of Paykans in the streets! )… This is what I’ve found on my second trip there, which happened only three years after the first one (2001 and 2004), so I can only imagine how much more deeply you’ll experience this. I’m sending you my best wishes for a fulfilling journey, and am looking forward to reading what you’ll want to share about it. Josiane jan, what a lovely comment. I relished reading it. I’ll think of you when I see a Peykan! Will have to take a picture of at least one of them, ha ha! I can’t wait to get there and I appreciate your best wishes. Oh how wonderfully exciting! I can’t imagine being away from the place I was born for so long. This is going to be a trip to remember! Thank you and I hope so Veronica jan! Beautiful post, beautiful pictures. And now I want to know what a mulberry tastes like… Have a wonderful time and please write all about it! Thank you and oh a mulberry tastes so so good, I do want you to taste some. If you’re ever in Kansas late spring early summer, I’ve heard they are easy and popular to find. Wow. I really congratulate you, & this post made me very emotional & brought tears to my eyes. I’m so happy for you & wish you’ll have the best time ever. I hope you will come back with a Mountain( as big as ALBORZ) of beautiful memories, knowledge, & happy experiences (unlike Afghanistan trip) to share with all you love & of course us too who patiently will be awaiting your safe return. I am so happy and excited for you. Be safe, capture beautiful memories and share them with us! I’ll be with you in spirit. Thank you and very happy to connect with you!